Driving road 1 in Iceland is a popular way to see the island year round. While people are aware that winter brings extra risks and challenges they might not be aware of the challenges in spring. 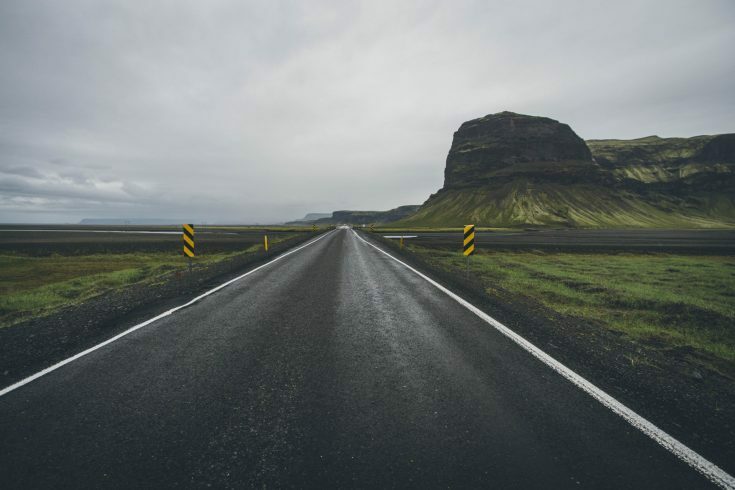 Here are some things to keep in mind if you plan to drive road 1 in Iceland in the spring. Storms can and do happen at any time of the year which can lead to road closures even on road 1. Road closures can last a few hours or sometimes a day or two but that is less common. If you have a flight to catch at the end of your trip you need to plan a buffer day so that you don’t end up missing your flight in the case of a closure. It is not recommended to try and drive road 1 in less than 7 days outside of the summer season. Conditions are often more difficult outside of summer which can cause delays. Some popular sites in Iceland may close in the spring during the melt season when the vegetation is extra sensitive and vulnerable to damage. These sites are often closed for the safety of visitors as well as there is often both a lot of ice and a lot of mud which makes walking and hiking difficult. Check our Safetravel conditions site for updates on which sites are closed. Keep in mind a site may be open, but the road leading to it may be closed. Always have seat belts buckled and proper car seats for children and infants. Road accidents are the number one cause of death in Iceland. Speed limits on the highway are 90km/h, 80km/h on gravel roads and 50km/h or slower in urban areas. What do you need to check daily to be prepared?